Posted on September 24, 2018 September 24, 2018 by SherylPosted in FoodTagged bread. Oh this is brilliant. I make all our bread. Every now and then the milk gets away from me. I can imagine using this often. Many thanks. People were so thrifty and clever back then. Now we would just throw it out. Great idea to keep in mind. Thanks for finding that and sharing it. I’ve saved this and plan to make it soon. I’ve always thrown together the batter with varying results. Marvelous recipe, Sheryl. Many thanks. Do you know how many years it’s been since I bought shortening?! And never lard. I can’t even imagine. Crisco? Looks so good. Most interesting. I haven’t made French Toast with soda and flour in the batter. I must give it a try. I might add a bit of yogurt to sour the milk. Would this have the same texture as using sour dough bread? Either way it does sound delicious. I’ll definitely have to try this. 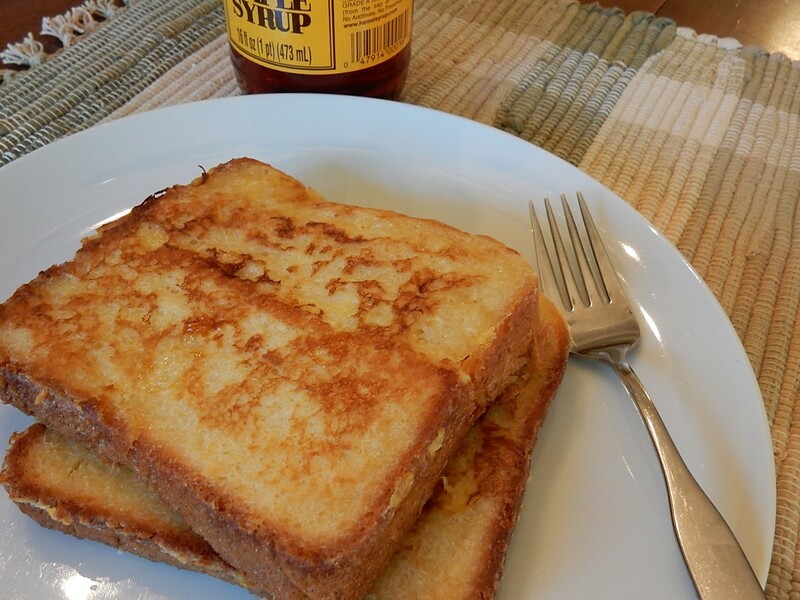 French toast is one of my favorites and this is a great use of ingredients that would have to be thrown out otherwise. Thanks for sharing! I had no idea you could cook with sour milk. How inventive! I know sour milk makes a good cake..I’ll have to try this. Thank you for the idea! I was brought up on various sour milk dishes. Specifically sour milk soup – simply a dish of chilled sour milk, a favourite of my father, who was Polish. My grandmother made sour milk cookies–I remember them as the best cookies ever!